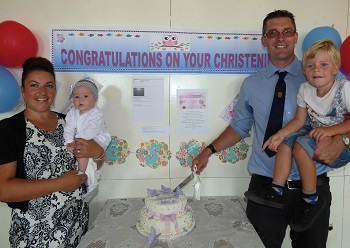 Christening of Tristan da Cunha baby Jessie Squibb to Charlie and Jody Squibb on 18th February 2018. 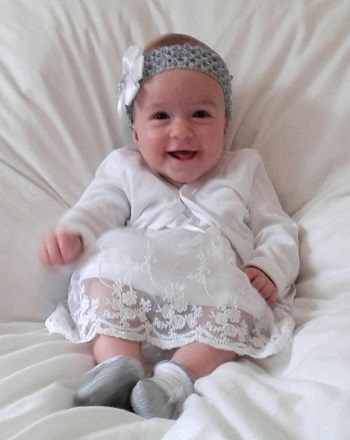 Jessie Mila Squibb was baptised on Sunday 18th February 2018 at St Mary’s Church. The service took place at 8:00am followed by a reception in the Prince Philip Hall at 11:00am. Jessie Squibb with her family and godparents. Back (L-R) - Andre Repetto, Gary Repetto, Mark Swain, Larry Swain. Front - Lay Minister Lars Repetto, Paula Swain, Shirley Squibb, Jessie Squibb, Jody Squibb, Charlie Squibb, Natalie Swain, Tanya Green & Lay Minister Eddie Rogers. 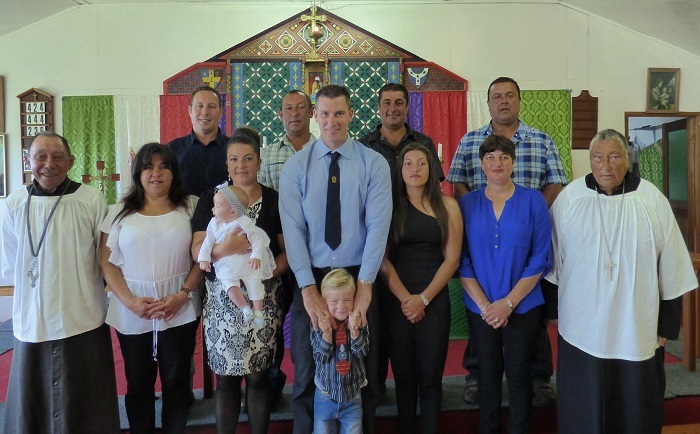 Absent Godparents: Dave Glass, Tristan Swain, Jade Repetto, Michelle Trevett, Karen Schreier. Upper right: Jessie with her parents Shirley & Jody Squibb and brother Charlie. 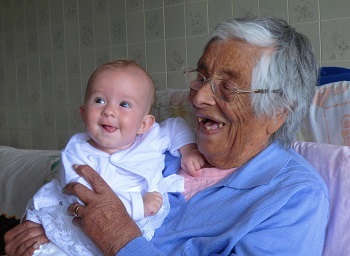 Lower right: A lovely photo of Tristan's youngest resident, Jessie, visiting the oldest, Aunt Ellen, aged 99.